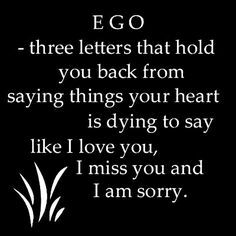 Ego – three letters that hold you back from saying things your heart is dying to say like I like you, I miss you and I am sorry. 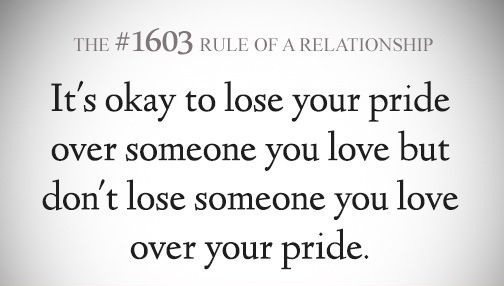 It’s okay to lose your pride over someone you love but don’t lose someone you love over your pride. 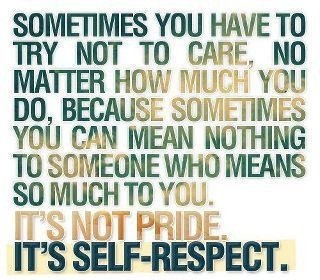 Sometimes you have to try not to care, no matter how much you do, because sometimes you can mean nothing to someone who means so much to you. 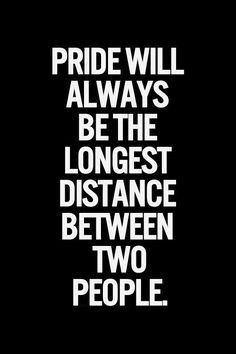 It’s not pride, It’s self respect. 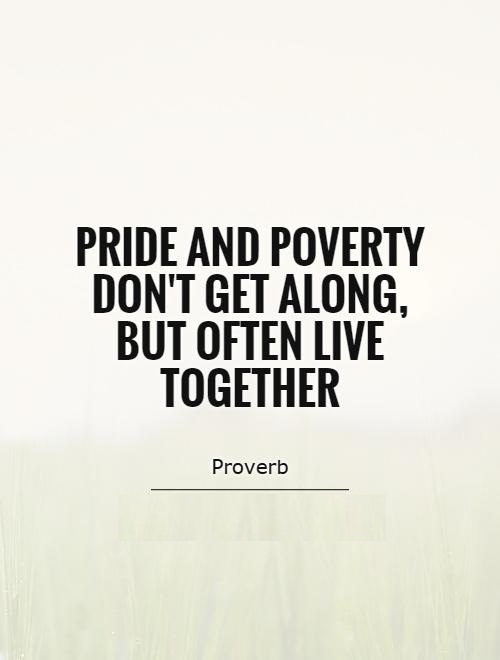 Pride and poverty don’t get along, but often live together. 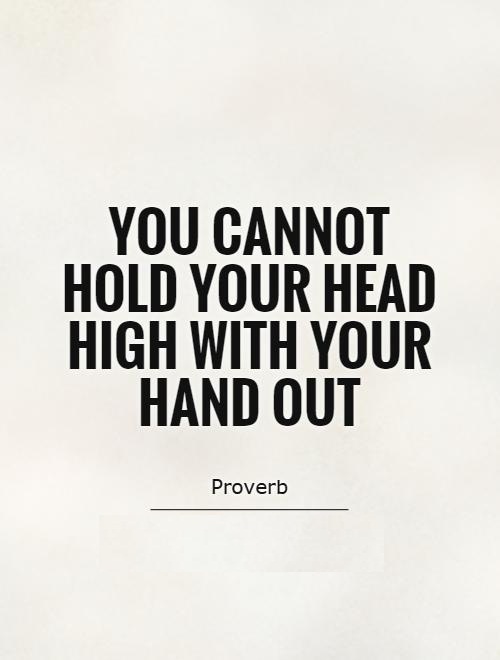 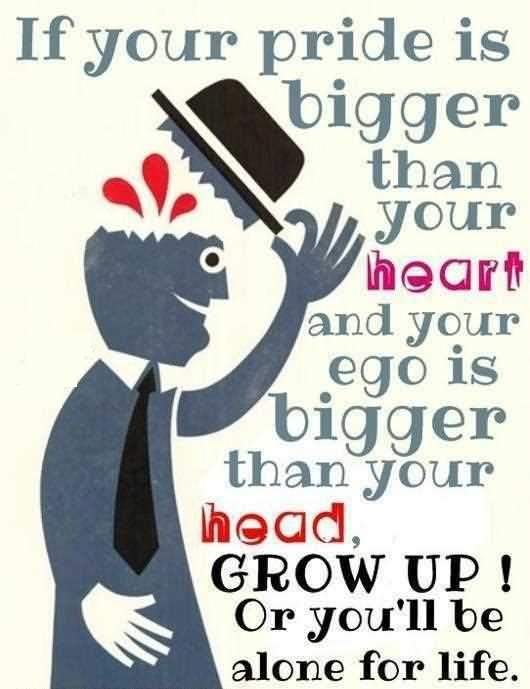 If your pride is bigger than your heart and your ego is bigger than your head, grow up. 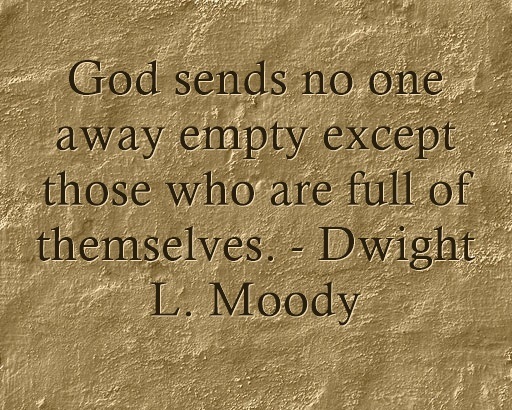 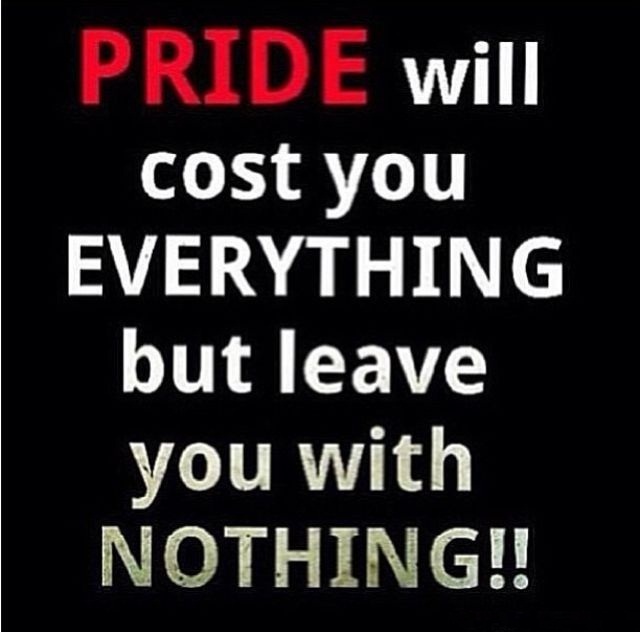 Or you will be alone for life. 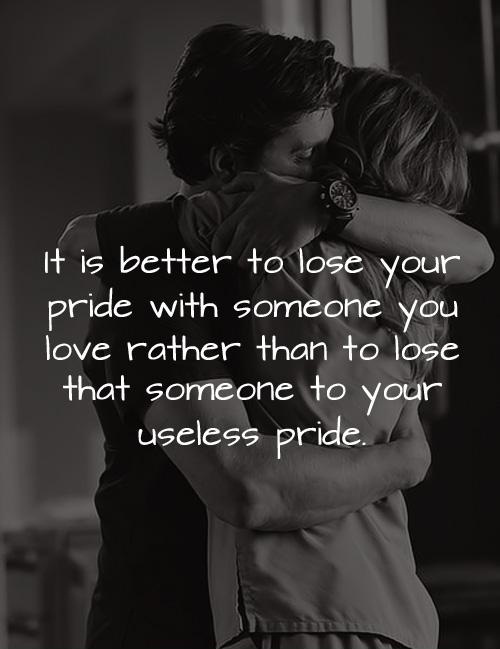 It is better to lose your pride with someone you love rather than to lose that someone to your useless pride. 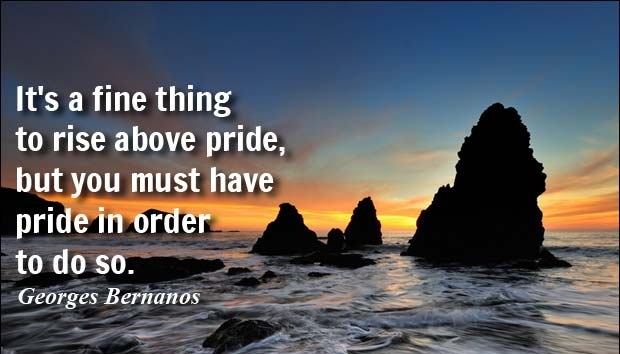 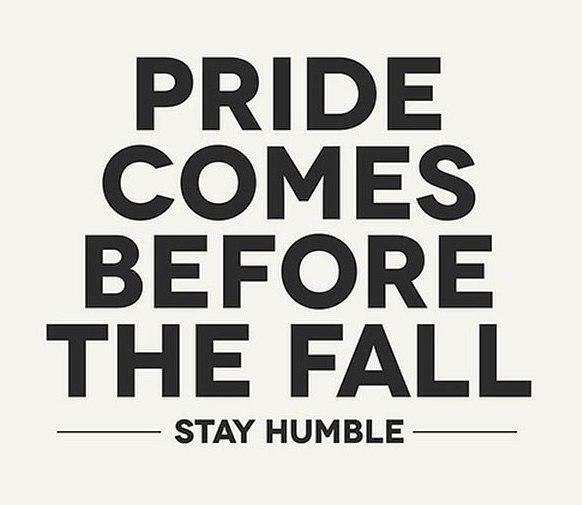 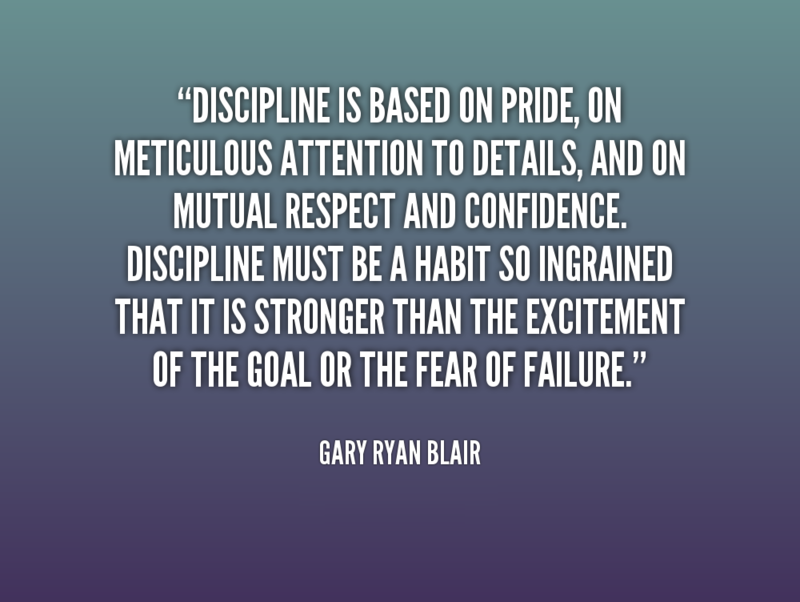 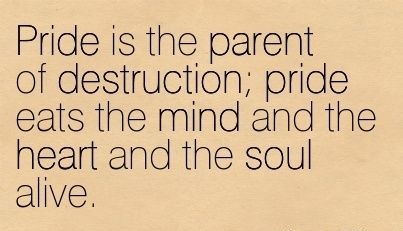 Pride is the parent of destruction, pride eats the mind and the heart and the soul alive. 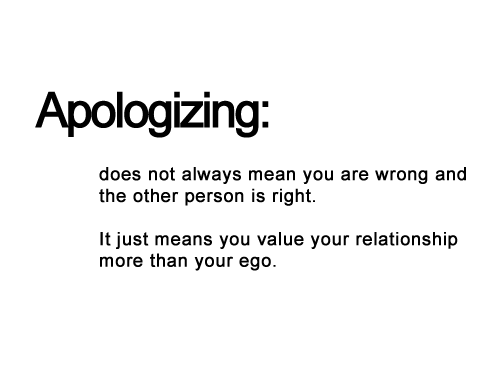 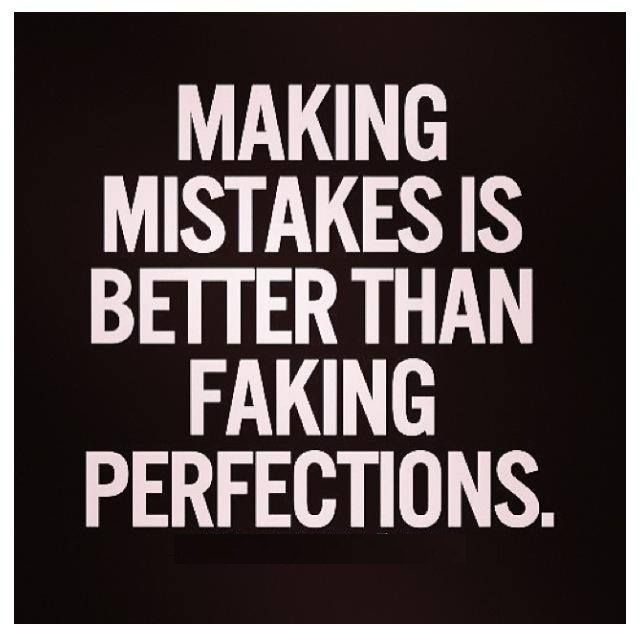 Apologizing: does not always mean you are wrong and the other person is right. 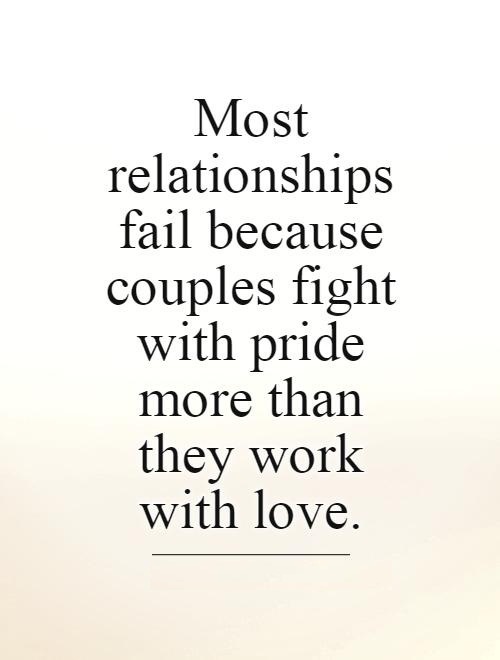 It just means you value your relationship more than your ego. 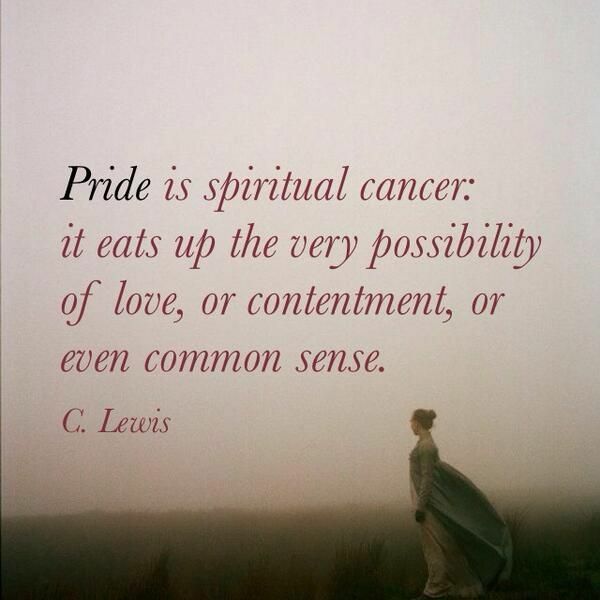 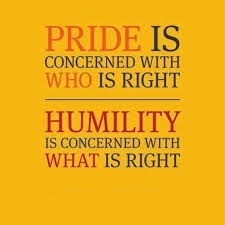 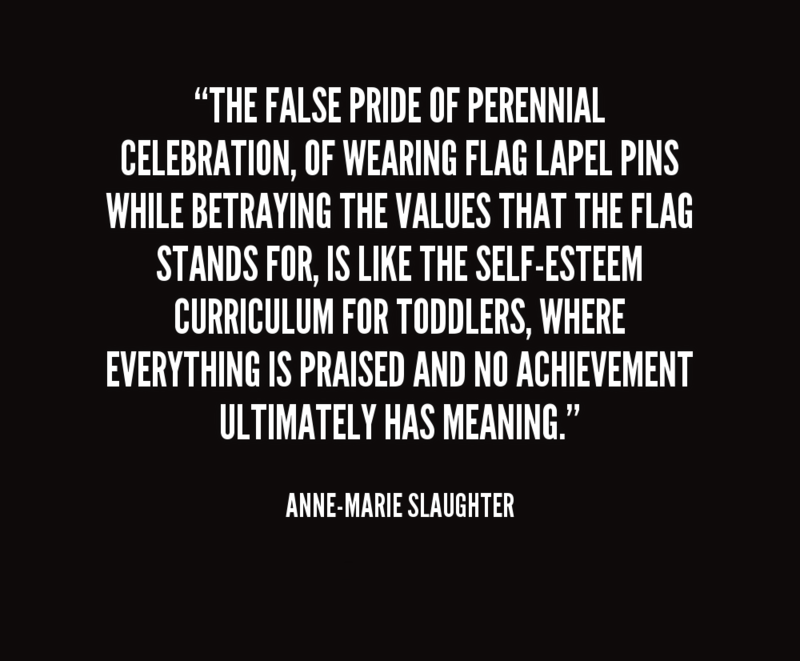 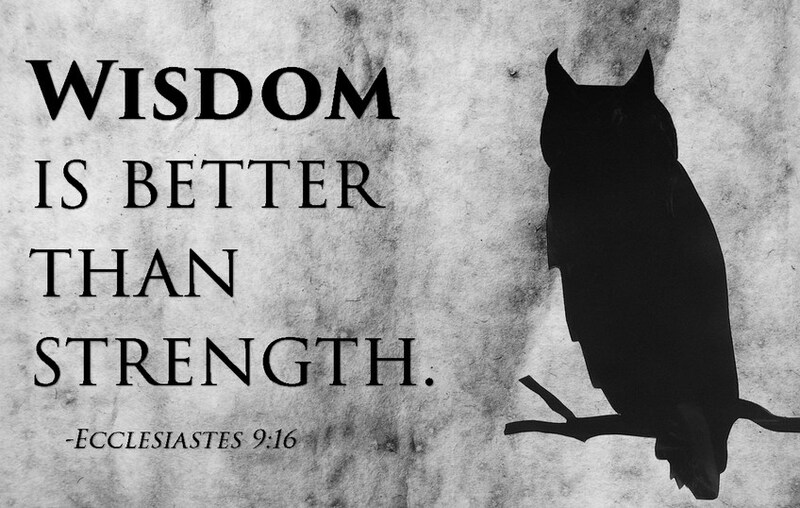 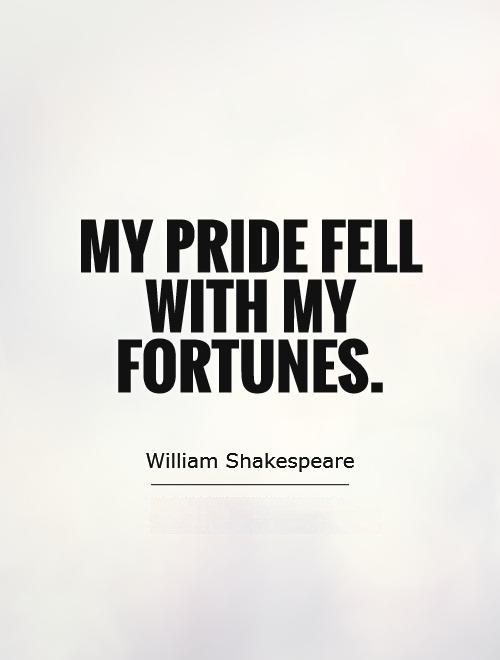 Pride is spiritual cancer: it eats up the very possibility of love, or contentment, or even common sense. 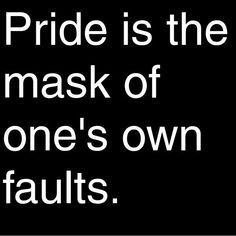 – C. Lewis. 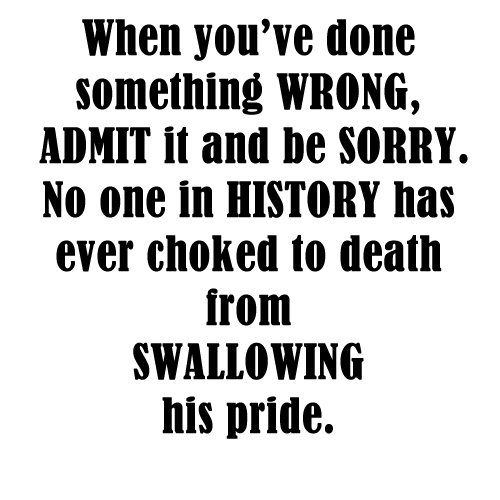 Sometimes you have to shut up, swallow your pride and accept that you’re wrong. 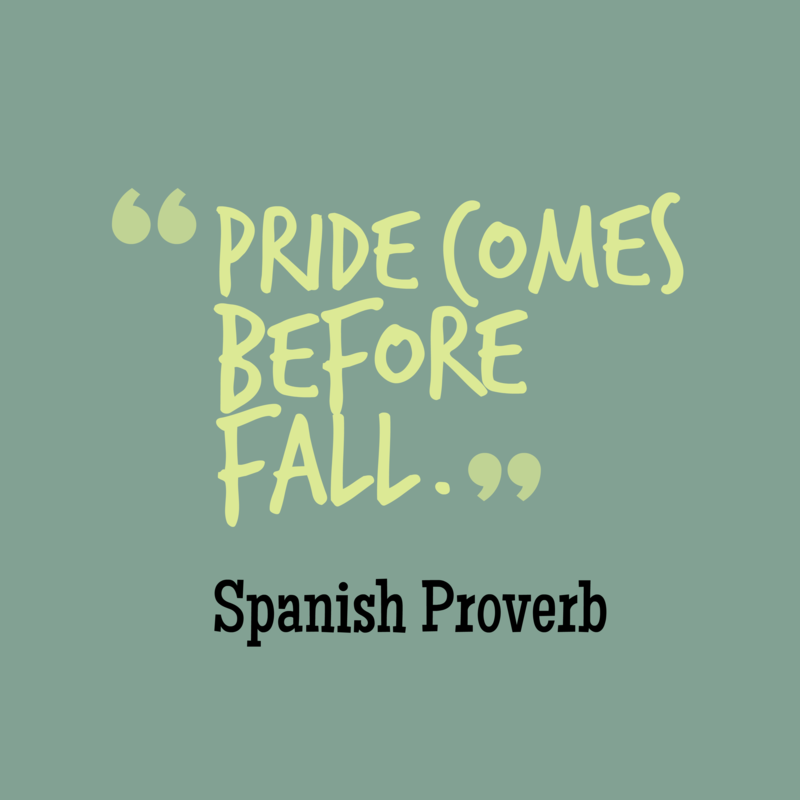 It’s not giving up. 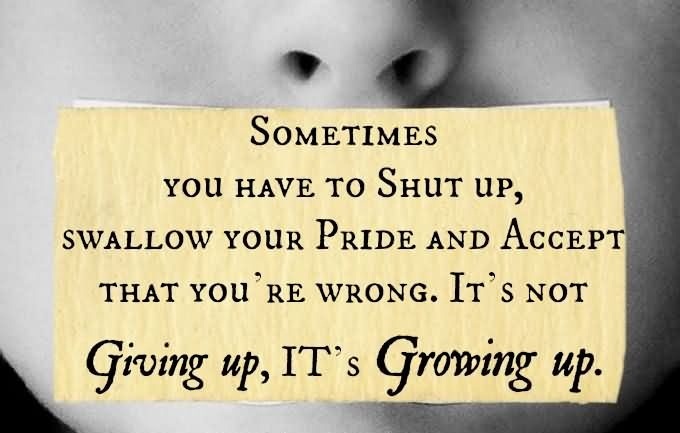 It’s growing up.